There's a new food park within Batangas again but I haven't had the chance to try everything from the first one within the area. As I've mentioned last time, time won't allow me since I am preparing for my big day, and also, for another international trip in the beginning of this year. 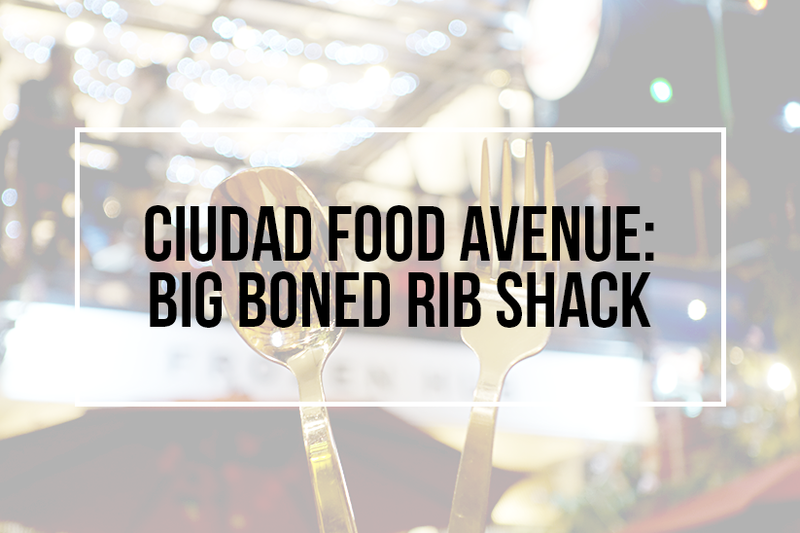 But before we talk about that newly opened food park just across the street, here's a review of one of the restaurants within Ciudad, the very first food park in Batangas City. There are so many restaurants to try but this one seems to be the top in demand. It was a Sunday evening when we went. People come and go, but still, a lot of them came at the same time so it was a little bit packed. We were fortunate that we had seats already. GJ and I are up for ribs. That's the reason why we opted to eat here in the first place. In the city, there is a restaurant where we had the softest baby back ever. 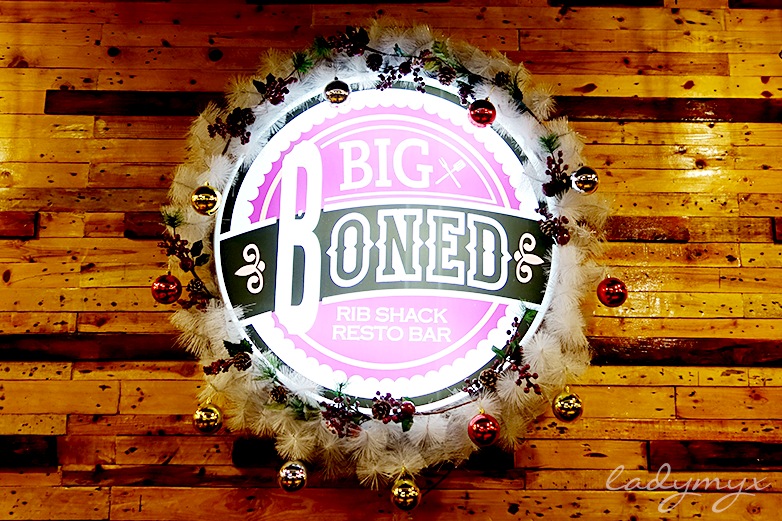 So with high expectations, here's what we found out about BigBoned Rib Shack Resto Bar. 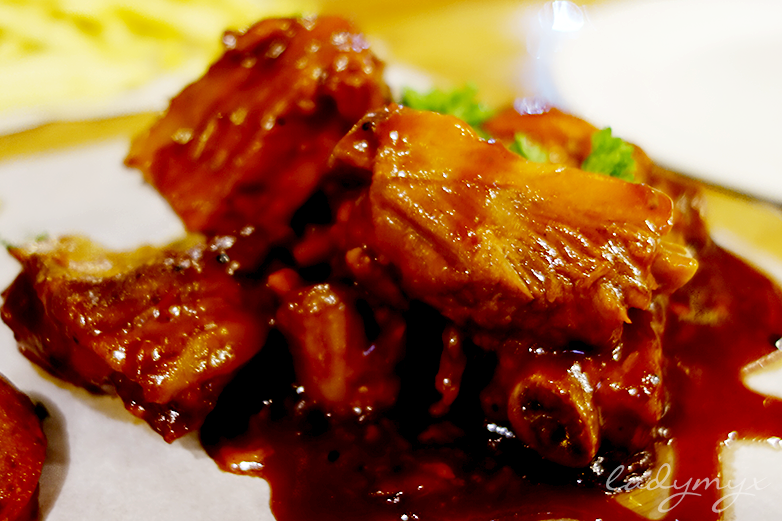 GJ and I shared a serving of this Honey Ribs. I had a plate of fries and he consumed the sides complementing the ribs. We have kids with us and they thought that the yellow sauce is cheese sauce. Surprisingly, it is a mustard sauce. 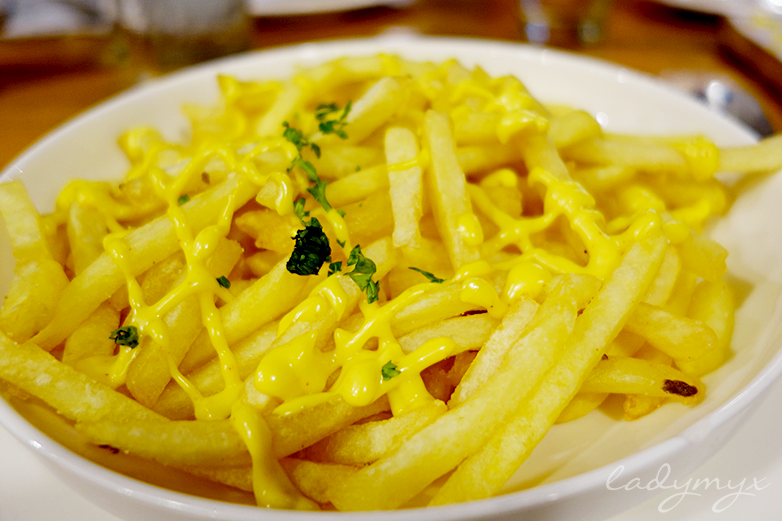 So they weren't able to fully enjoy the fries, which is not even a downside for me since I am a fan of mustard myself. I had the plate all to myself. Hihi. It is rational to think that because there were so many people lining up just to be seated, the service will not be as fast as we expect. Our order arrived a little bit late but we understood that the food was cooked to perfection. 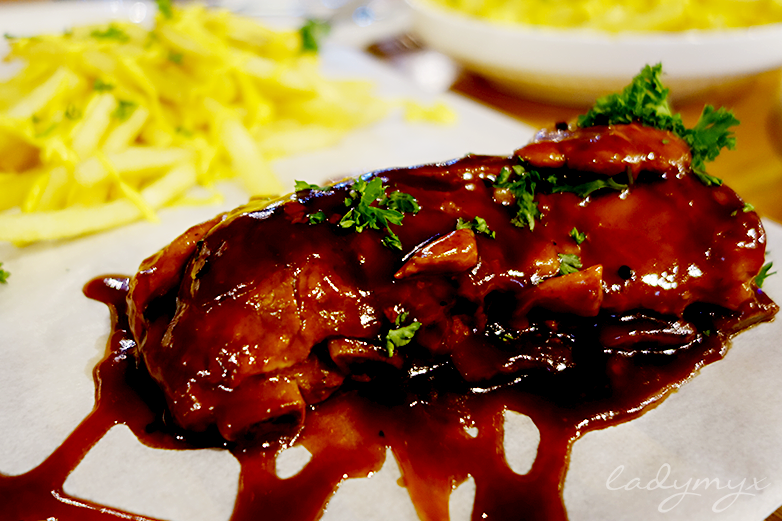 Aside from the Honey flavored rib, our group also had their group meal which is composed of spaghetti, sausage slices, chicken strips, rice and another separate serving of their ribs. 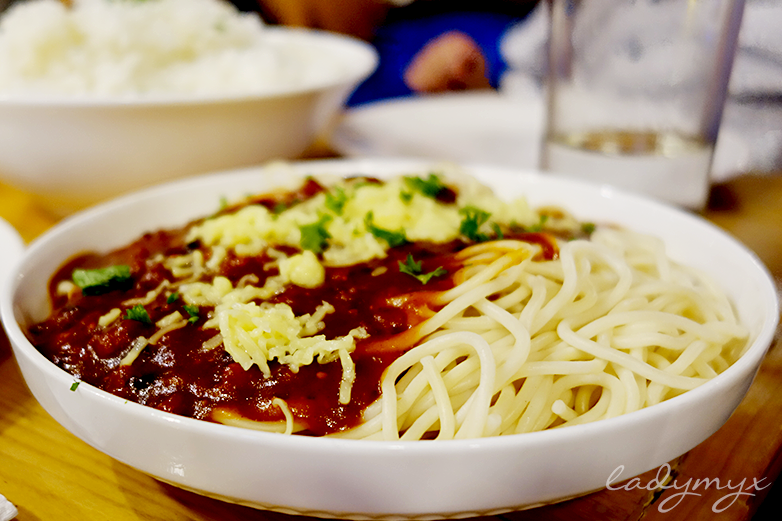 We were accompanied by mostly kids so they really enjoyed the fries and spaghetti. 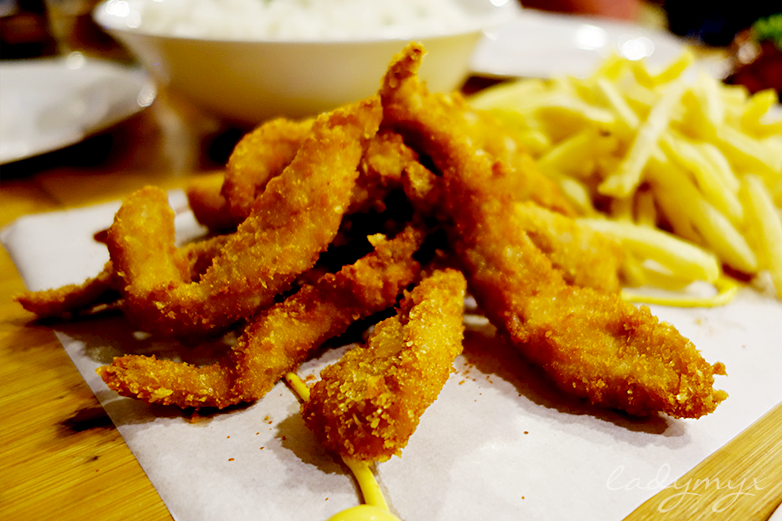 These might not be the healthiest option a restaurant can serve but still, they are the answer for someone else's cravings. Plus, it is nice to treat yourself once in a while. The dinner we had was nice. The price is just the downside since they have expensive meals on their menu. 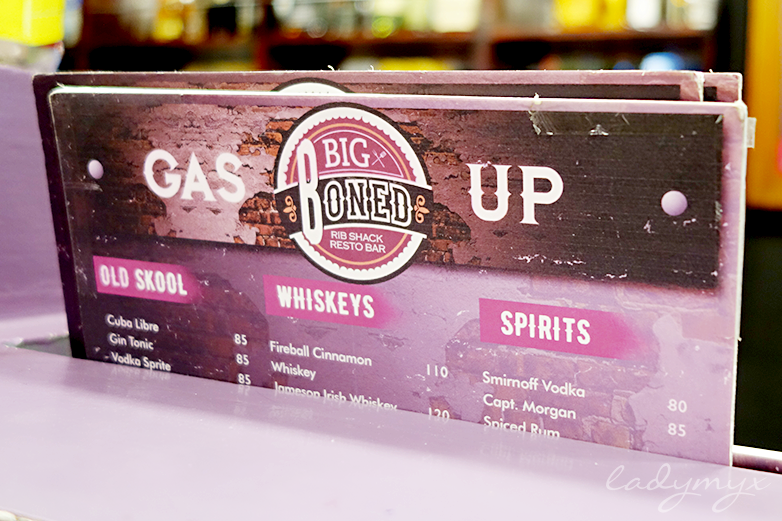 Next time, I might try their alcohol with the meal dish they offer. That is always a good combination in the west. Plus, these cocktails sound familiar. I might have heard them from my Bar Management class in high school. It's too bad about the price! But as long as the food is great, it might be worth it! 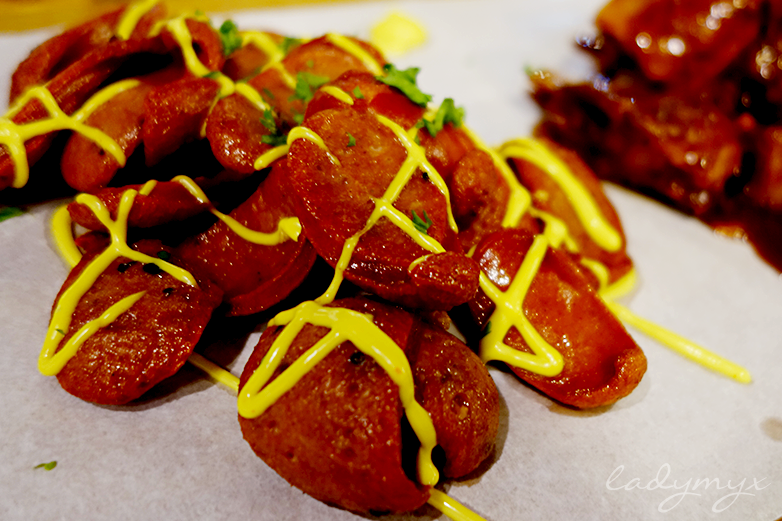 THose photos are making me super hungry!